Are you new to a 55 plus community? Will this be your first Holiday in your new community home? You’re not alone. So here we are. After a year of preparation, tackling the ever-dreaded attic and basement of the home we’ve lived in for all of our adult lives, we made it through. We sorted through bills from the ‘60s, discovered boxes of our children’s old school notebooks, and emptied chests full of holiday decorations and books. We unburied ourselves from years of clutter, and made it here to our new Jensen home, just in time for the Holiday season. I have to admit, the thought of spending my first holiday in this new community terrified me…how would I ever create the Holidays like I used to in our old, oversized colonial? “I’d have no space”, I’d say. “It wouldn’t feel like home.” “It wouldn’t feel like Christmas!” But the truth is, I couldn’t have been more wrong. While it wasn’t easy accepting that this new phase of my life was suddenly upon me, the reality was that it was here, and I had the choice to either dwell in the past, or make something incredible out of this new life that was before me. I chose the latter. Yesterday, our children and grandchildren came over for the day to help us fill the new house with holiday cheer. Though we didn’t go over the top with decorations like we typically did in all of the years that my children were growing up, we had just enough greens and red holly to make this new home warm and festive. And, as for the tree, what a painless task it was to put up this year! Purchased from Macy’s and already assembled straight out of the box, it took only a matter of minutes before it was gleaming in the sunroom window. While I admit, I do miss the scent of fresh pine, the ease of creating this year’s masterpiece from three feet worth of pre-lit artificiality, was pure bliss. Our day was filled with passing through old photo albums, laughing over wine and the blaze of the gas fireplace. We truly enjoyed the ins and outs of our new neighbors and friends, who have become, in just a short time, as close to us as our own family. And though, I wasn’t quite confident at first, we had plenty of space! Everyone was happy and comfortable, and by the end of the day, it really felt, for the first time, like home. Spending time with family and friends during the Holidays is really what the season is all about. Invite the whole crew and create a gathering that everyone will remember. With the community environment at Jensen's, you'll always feel a sense of neighborly warmth and holiday spirit this time of year, making your home an inviting place for friends and family to visit. But remember, if you want to get the most of your family time, with as little hassle as possible, KEEP IT SIMPLE. From food to decor, don't overdue it. Remember, having the Holidays explode in your house only means that you'll be spending hours and maybe even days, packing up, picking up and cleaning up, and let’s be honest, who really enjoys that? You'd much rather be strapping on your snowshoes, strolling around the neighborhood on a beautiful winter day, or taking off for the night to see your granddaughter perform in her winter recital. 1. The meal: You cook the main dish, and have everyone else bring a side dish and a bottle of their favorite beverage. That way, you won't have to do all the work, and everyone still gets to enjoy all of those holiday family favorites! 2. The decor: If you haven't already purged the decades of holiday decorations that everyone manages to accumulate way too much of, be selective this year. Only take out a few important pieces to help bring the festivity to life. A dash of garland there, a wreath there, and a hint of holly there, and viola, you've created the perfect festive setting for your friends, family and neighbors to enjoy. 3. The tree: Unless you still get a thrill out of going into the woods and slashing down your own tree, a pre-lit artificial tree is an economical and painless alternative. With almost foolproof assembly, all you have to do is adorn it with your favorite ornaments, and plug it in. And, if you're longing for that authentic pine-fresh smell, visit Yankee Candle and pick up their Sparkling Pine candle jar. No cutting, no watering, no needle shedding…it's that easy! Happy Holidays from Jensen Communities. Enjoy! The Holiday Season will hopefully provide you with some extra time to think and plan for the upcoming year. The typical hustle and bustle can be draining as we prepare to get together with family and friends. It is at the same time very enjoyable and very stressful. There really is no better time than getting together with loved ones, sharing a hearty meal and good drink, exchanging gifts, reminiscing about days gone by and those that have passed on, and remembering in our thoughts, prayers and giving those less fortunate. Making a move to a new home, lifestyle and even location can also be exciting but taxing. In reality, it is not so much the end result that proves difficult, but the process of getting from point A to point B. There is just a lot to think about and do in order to move from a current residence to a new home. We hope that you may learn from many Jensen residents what we hear so very often, “we wished we had made the move sooner”. Optimistically, you will enjoy some time to think and or discuss your aspirations for the upcoming year. Conversations with our spouse, close family and friends can be a good way to help focus retirement plans and even learn about how others feel about making a change or have made the move. Due to the economy, we are finding more people talking about how to reposition their physical and financial assets in pre-retirement planning. Many also want buy-in from “the children” but of course are very much in control of their own decision making. The New Year will provide another clean slate and fresh start. From all of us at Jensen communities®, we hope that you dreams do come true and are here to help that happen. Our staff is always ready to assist you to find a home and community to fits the lifestyle of your choice. Most homes were built to maximize the square footage that the target market was willing to pay for. Generally speaking colonial and Cape Cod style homes are the most cost effective to build per square foot of foundation. And with capes and colonials, we of course have stairs and most bedrooms on the second floor. Renovating can be an answer but typically does not remedy all of the home’s shortcomings. It can be very costly to be able to make all of the changes desired. A one level ranch with a two car garage and a small and manageable yet private yard would fulfill the needs but are hard to find. 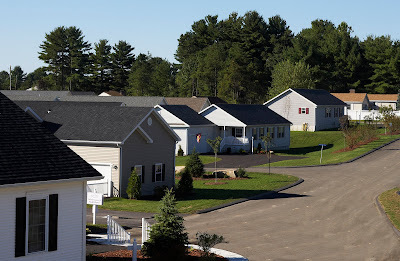 Jensen’s Brook Ridge in Hooksett NH is one such place and has now taken the concept one step further with homes designed for Easy Living. · Easy Access with a step-free entrance from a driveway, sidewalk, or other firm route into the central living area. · Easy Passage because the exterior door that provides the step-free entrance and EVERY interior passage door on the main level (including bathrooms) is at least a 3’0” or 2’10” door, or a 2’8” pocket door, or other solution that provides 32 inches of clear passage space. Closets are not required to meet the 32-inch clear passage standard, but this can be an added advantage when feasible. · Easy Use with no less than one bedroom, a kitchen, some entertainment area, and at least one full bathroom with sufficient maneuvering space… all on the main floor.Brook Ridge by Jensen communities is in the process of completing its first EasyLiving Home. Although the final grading and paving are still in the works, you can see from the photo that main and garage doors can be entered without encountering any steps. Inside the home you will find mostly 2’10” doors and extra space provided in the halls, kitchen and baths. 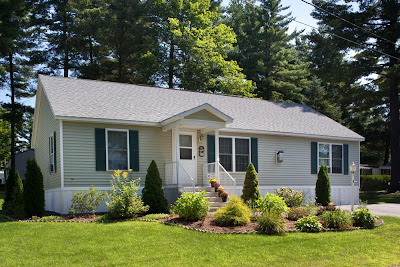 Jensen has always specialized in building communities with single floor homes; it is now even easier to get into them. We can build all of our homes with the special features needed to make living in them easier as well as build fully assessable homes customized to a buyer’s individual needs. 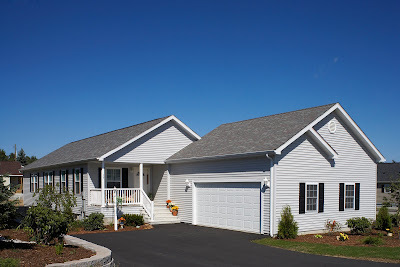 Visit http://www.jensencommunities.com/ and go to the Brook Ridge (New Hampshire) Page to learn more or contact the Brook Ridge Team at 603-644-8800 or BRSales@jensencommunities.com. Even thinking about making a move to a new home can be overwhelming with the trouble in the economy. Making a move is not for the faint of heart. Making the wrong move could make things worse but not making a move could mean missing out on a tremendous buying opportunity. A decision to sell one home and buy another needs to be done objectively and thoughtfully. 1. Home prices are at an all time low. 2. Financing rates remain historically low. 3. There is a lot of choice with the number of homes on the market. 4. Builders and other sellers are willing to negotiate from listed price. 5. Selling low and buying low is better than selling high and buying high. 6. If you are in a position of buying low, rent your current property and then sell when the market comes back. 7. Getting into a more financially manageable home can allow you to start saving for other needs like retirement again. 8. Moving to a more physically manageable home than your current home will improve your quality of life and give you more time to do what you want to do. 9. 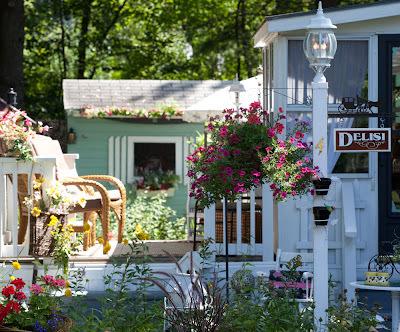 A move to a new town or place where you have always wanted to live can reinvigorate your life. 10. Lastly, why let life pass you by when you can accept the conditions for what they are and simply bite the bullet to make a move? What is is and we can’t change that. A common theme we hear from new Jensen residents is that “we wished we had made the move sooner”. This not only speaks for the easy livability of our homes and communities but to the financial and social benefits they enjoy. Getting to know prospective buyers is one of the most enjoyable parts of our jobs at Jensen communities. Each person, couple or family has its own unique story. Each has traveled a different path in life. And we can honestly say that we have some very interesting and fascinating people with us! People visit our communities and eventually talk to one of our sales representatives to learn about whether a move from their current home and property is in their best interests. Especially with the present state of the economy, no one want to jump out of the proverbial “pan and into the fire”. The goal is typically to find an alternative to what they have to a more accommodating living situation that will provide several advantages over what they have. Many folks come from a single family home that they have lived in for years and perhaps raised a family in. The feelings that accompany abandoning that structure with all the memories that were created are hard to move on from. To paraphrase David Harper, who helps to train our sales team, “it isn’t the actual move that is so difficult; it’s the transition that is difficult”. And isn’t that true? The house itself doesn’t keep us from changing as much as the recollections of all the good times we have had. It symbolizes who and what we are. But while inertia can be strong, the need to make a move usually grows with time. The desire to keep up a big home and yard just are not there anymore. Do we keep hanging on or move before it is too late? Various rooms in the house just don’t get used as much or at all. The stairs to the second floor bedroom become less attractive as well as the ladder to the second story gutters. The garden still provides satisfaction but not mowing and acre of lawn. And generally speaking, the time spent to maintain the house and yard would rather be spent on other pursuits or activities. And while many people come to a Jensen community from a different road, they come to find a more accommodating home, yard and lifestyle. They want room to live, but not the areas that aren’t functional anymore for a smaller family. Almost invariably however, people have lived in and want to stay in a single family home (as opposed to an apartment or condo), just not in one that is so much work or so expensive every month. A manufactured house in a land lease community ends up to be the best of both worlds. If there is anything that should motivate you if you are holding back on making a move, we hear new Jensen residents say all too often that they “wished they had made the move sooner”. The benefits of moving while you can really enjoy ales burdensome home that is very safely within your means are many. These thoughts are directed to those 55 and over! Being on the business side of age 50 myself, it is hard to imagine anyone really wanting to be paying down a big mortgage when they retire. We expect that our disposable income will take an adjustment from our working years. While our expenses may be reduced without the costs associated with getting to and from and working a job, we will want to maintain our lifestyle and living standards. Hey it is our time to do the things we have always wanted to do! Typically, a house and perhaps our retirement plan are our biggest assets. How do we best use the equity from our home to supplement our retirement income? 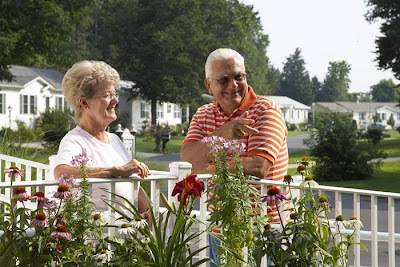 Many people consider a move to a more accommodating home at this stage of life. If the home is too big, has too many rooms, has too many stairs or we are just tired of caring for a large yard, some other housing option begins to look better and better. Maybe we just want to move to a different climate or nearer our children. In either case, ideally we have paid down most or our entire mortgage so that we actually own our home rather than the bank still owning it. The equity we have created or saved over the years in our home becomes a tool and a resource that allows us to make a move. With enough equity, we can buy a more manageable place in terms of size and upkeep as well as being more manageable financially. This is not always easy to do especially with the cost of new homes. An apartment may offer a lower monthly expense, but paying for one will result in a loss of our equity for each month we rent. A condo may offer a lower level of investment, but most of the lower price condos are townhomes that are not suited toward 55 and over buyers (if the living areas and master bedroom are up a flight or two of stairs). 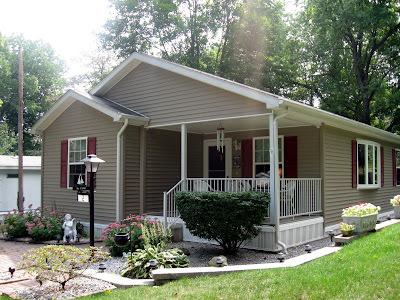 An investment in a modestly priced manufactured home can be the answer by offering you the ranch style home that puts everything on one floor and the home within financial reach. You can decide how much to reinvest in your new home or to keep in savings for other purposes. Buying too much home will just move your equity from one home to another and perhaps get you back to paying a mortgage. At today’s interest rates a mortgage may make sense for some but not if the expenditure keeps our finances to tight to enjoy what we really want to do at the 55 and over stage of life. By best using our home’s equity or other savings we can own within a manageable monthly expense. Seriously consider your options and how to most effectively use your equity “nest egg”. The Jensen Team is available to help you “Get in on the Good Life!” and explore the possibilities. We all have dreams of what we would like to do in life. Making those dreams reality can be difficult without a plan and the determination to see the plan through. Let’s face it, life gets in the way of our dreams and then they just get pushed aside due to more immediate needs. But if we feel short changed, especially as we live out the “second half” of our existence, then perhaps we need a better plan. And perhaps we need to take more definitive action to make our dreams realities. What are your true priorities? How do you want to live? Where do you want to live? How many more years do you want to keep working? Would you rather be working in a different capacity than what are doing now? Who do you want to be with? What do you want to be doing? What do you want your finances to look like? Everyone has the right to define their lives in their own terms. Some want to work forever because it is truly their passion. Some would rather sit on a beach or dock or boat. Some want to travel on regular trips in the US or foreign destinations that pick their interests. Never had the time to develop the skills needed to play competitive golf or tennis? Now may be the time before it is too late. Have you always wanted to build furniture, make your own pottery, paint landscapes or sew quilts? How about really learning to cook? Do you want more time to help out an elderly relative or see more of your grandchildren or nieces and nephews? Many find fulfillment engaging in a part or full time volunteer organization that will either make time at home more interesting or enable them to travel to other places at the same time they are “giving back”. Whatever you do, make sure that it is important to you. Living our passion will help provide the drive to make your goals happen. Daring to dream and to make those dreams come about may be a little scary but exciting and fun at the same time. There are so many excuses to avoid fulfilling our dreams and sometimes not enough motivation to push us along. It goes without saying for most Americans that finances play a part in reaching our goals and aspirations. By living more simply and with less financial burden in a home within our means, we gain more freedom to spend our time and money in more meaningful ways. In the end it may be the things we do and the people we do them with that will be more important to us than what we have accumulated. At Jensen communities®, we can help you to “Get in on the Good Life!” with a “Simply Affordable” home that is within your means so that you can live your priorities. 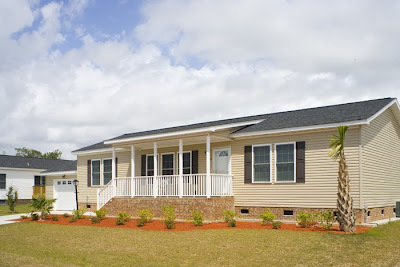 While manufactured homes built today can be lavish and extravagant to fit any means and lifestyle, and we do build $200,000 and even $300,000 houses in our flagship communities, many of the homes Jensen sells are just good basic modest homes in the $100,000 range. The new technology of factory construction allows you to get more home for less of an investment especially when sited in a land lease community. You need to start by finding a good neighborhood and a community owner with a strong track record of reliable resident service, community upkeep and reinvestment back into the infrastructure. You also want to be sure that there is a strong program in place to ensure that the homes are built and the neighborhood standards are such that things will stay in place. And if no one is around to back them up, where does that leave you? Equally important is that the home Manufacturer has a reputation for quality and for standing behind its homes after the sale. What types of homes do they build and to what level of quality? Factory builders are not different than site builder in that they have a quality niche that they try and fill. Jensen communities uses what we call our Traditional, Classic and Premium Standards and matches those price points to certain manufacturers standards so that prospective buyers can more easily determine what they want to buy. Each level offers a well built home albeit at a different price point as well as materials and finishes as the labels suggest. By its very nature, a manufactured housing land lease community is a long term investment where the best approach is for the owner to “partner” and work together with the residents. What is good for the residents should be good for the owner. The best part is the owner does not simply move on to the next project; they will continue to manage and stand behind the community. The owner has a real vested interest in keeping customers and homebuyers happy. Satisfied customers want to remain in their homes as long as they can and will readily encourage their family, friends and co-workers to buy as well. If you have not seen today’s manufactured homes, take advantage of your next opportunity to do so. Most people are simply “wowed” at what they see! 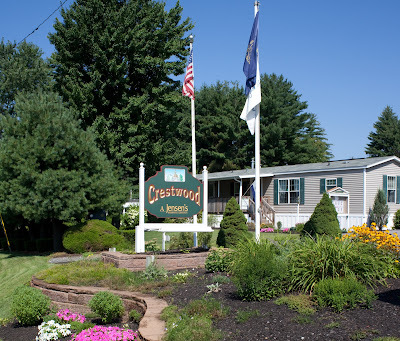 With 29 Jensen communities® from New Hampshire to Georgia, including our newest in New Hartford NY (Cherrywood at http://www.cherrywoodcommunity.com/), there may be one in your area or one where you have always wanted to live. 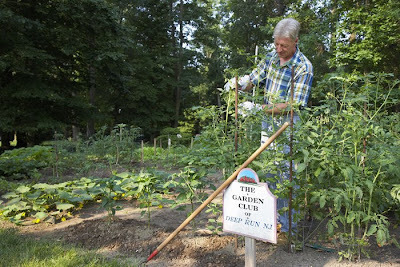 Please visit http://www.jensencommunities.com/ or call 800-458-6832 to find out how you can “Get in on the Good Life!”®. You can get the home that you want and not have to give up the American Dream. Very often when people go looking for an easier lifestyle they think of condominiums or even apartments. And they have lived in a single family home for most if not all their lives. Many have never lived with people above, below or even directly beside them. They know that they should move because they just don’t need the big house or yard any longer. They really don’t want to redo the roof a third time or repave the driveway again. The thought of more painting, replacing cabinets, a bath or kitchen upgrade, installing more new carpet, retiling the kitchen or refinishing the living room hardwood makes them think there must be a better way to begin or go through retirement. Never mind getting rid of all the stairs. While apartments and condo living do take all of the exterior maintenance worries away from you, they are usually a significant compromise in terms of the proximity of your neighbors. Most also are not on one floor so stairs are still a problem like in so many townhouse style condos that make sense for younger buyers with good knees. A manufactured house on leased land in a good neighborhood is the best of both worlds. You get to live in a single family home on one floor, continue to build up equity by owning the property, have the privacy of your own home but not the big home or yard, have good neighbors around if you want to visit or have them watch your home, and the community own does the heavy lifting with most any significant land or utility maintenance or repair. Most enjoy still getting out in the yard to work that green thumb but not have it be such a chore. 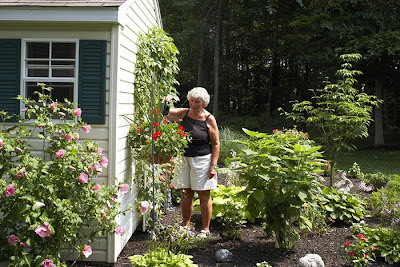 A small lot that is easy to care for is a breeze compared to the chore of hours of yard work at the old homestead. Financially, many scale down to a more manageable number and have little if any loan repayment. The monthly land lease enables the purchase of a less expensive home and allows for extra equity to be invested or saved for other purposes. While a land lease fee is typically more than a condo fee it pays for just that: leasing the land as well as common maintenance and services. It is troubling to hear about so many people being forced out of their homes because of financial trouble. Regardless of whether people got into difficulties due to a lost job, medical bills, or just bad spending habits, people still need a place to live and no one likes to see such turmoil. A home is a unique investment. It is a financial asset but it is also much more than that. Perhaps more people should value their homes for the intangible benefits that they provide than simply a financial instrument. A home bought with forethought and a long term view can help one’s financial status by allowing them to build equity but this should be a secondary benefit rather than the primary goal. Generally speaking, with time on their side, the right purchase can create equity by paying down the loan as well as by price appreciation and receiving certain tax benefits. But when people focus on only what they can gain from buying their home, some get greedy and create added risks that run against the stability that a good home in a good neighborhood should provide. Not having a place to live is a terrible position to be in. We have all seen the images of families living out on the streets, in their cars, or in shelters. No one expects to be in this situation but many are today that never imagined that it could happen to them. With the benefit of history and hindsight, isn’t living within our means a more reasonable way to live? Shouldn’t we be providing ourselves and our families with a safe and secure roof over our heads before just thinking about the payoff we can get from our homes? Shouldn’t we be focusing on building memories and enjoying our friends and families in our homes more than worrying about financial gains that will come with patience and prudence? While patience and prudence don’t sound like a lot of fun, those that do exercise such traits are the ones who are truly independent. They are the ones who own their homes and don’t let their homes own them. They buy and finance what they can reasonably afford and don’t try to “keep us with the Jones’”. By living well within their means and deciding that living within their means is living well, they have established their own high standard of living without the trappings of being overextended. They will always have a house because the house (or the bank) doesn’t own them. We are taught that we can and should always buy up. In today’s world it is becoming more fashionable to buy right for our own circumstances. This may mean buying down or buying up, but it needs to mean buying a house within our financial means. Buy modestly to get a start in life. Buy modestly to have a place to raise your family. Buy modestly to help you save for future needs. Buy modestly to live well in retirement. Buy modestly to get more out of life than being a slave to your property. At Jensen communities we offer a lifestyle that over 4,600 families consider one of the best. 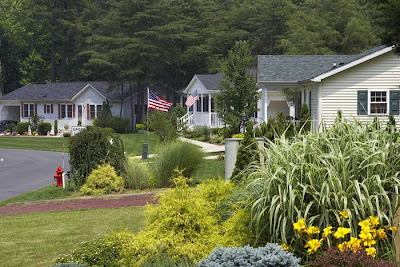 Visit http://www.jensencommunities.com/ or call 800-458-6832 to see how you can Get in on the Good Life! The anticipation of life in retirement on a fixed income is a humbling experience in general and particularly for those that have had their investments pummeled over the last few years and still hope to retire in the near future. Thoreau went into the Walden woods to try and live as simply and as richly as he could. It seems that those contemplating retirement could also benefit from getting into this state of mind. 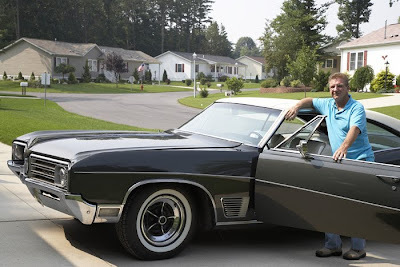 Baby Boomers have always been able to define new lifestyles for themselves. They have been able to experience some amazing opportunities over their lives and will undoubtedly continue to do so by seeing the glass half full rather than empty. As our lives progress, we accumulate family, friends, and relationships. These are surely the richness of life. Unfortunately, we also accumulate a lot of stuff like a home or two, vehicles, boats, RV’s, furniture, clothing, and keepsakes. While these things helps us to enjoy our family, friends, and relationships, they can also be a burden when we want to make a move into a new home or lifestyle. It seems that more in the middle years (if they haven’t already) start to seek out more purpose and/or find opportunities to give back. A simpler life, home and finances provide the freedom of time and money to be more purposeful when you have more time to make the most out of life. A more physically and financially manageable place to live is key to achieving that goal of finding more freedom in your life. 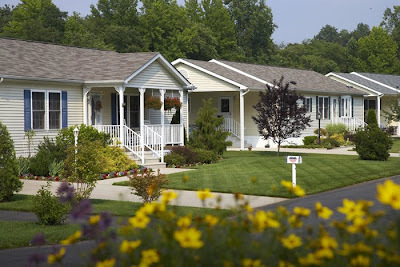 At Jensen communities, we can help with a simply affordable home. I am on the email list for www.Trendwatching.com E-newsletter. It is fun to peruse each month as it makes me think of things I have not thought of and from a very different perspective than I would on my own. Kind of helps to stretch the mind so to speak. We all get into habits and/or tend to follow trends on paths others have forged for us. It is refreshing to find one self all alone and venturing off into uncertain territory. To know what is right and follow it, despite what the rest of the herd may be doing, is both exciting and uncomfortable. Perhaps we do not venture off enough but it is high time that we do. This is not to say that all trends are bad. It seems that trends only get out of hand when people take them too far and for too long. The housing bubble would have caused a lot less pain if it had burst as a birthday balloon rather than a hot air balloon. It is time to start a new trend in housing. It’s pretty obvious that Mc Mansions may still be constructed for the well healed homeowner but Joe and Mary Middle America will now be more realistic. Hopefully people have learned not to buy a home that will never get furnished. Hopefully they have learned that our homes are no longer bank accounts on which we can take indefinite withdrawals. Hopefully they have learned that mortgage loans are something to be paid off and that our homes should be used to save not spend. Anyone can do this by finding and purchasing a home within their means. Yes, it requires making realistic choices and deferring satisfaction, but reality wins over delusion in the long run. A small, convenient, and easy to care for home should also be easy on the pocketbook and therefore allow for the achievement of other financial goals as well. If you can’t buy furniture, it’s pretty hard to save for a vacation, education, retirement, a wedding or anything else that is important and worthwhile to you. Happy house hunting from www.jensencommunities.com. Encouraging Signs for a Brighter New Year! For too many people 2009 was a dismal year. That was especially true for those forced to sell a home in the toughest market in decades. I for one do not want to see a return to the "irrational exuberance" of an out of out of control real estate market. While most of the East Coast did not see the wildness of the CA, AZ, NV or FL markets, going up or down too far and too fast always creates problems in the long run. "Moderation in all things" is one of my mantras. At Jensen communities we are encouraged by more phone calls, emails, written inquiries and site visits to our sales centers. The number of buyer deposits is on the rise and prospective buyers are more positive about moving forward. Confidence that one is making the right decision is more important than ever. The $8,000 new home buyer tax credit was a big hit and helped make sales that otherwise might not have happened. The extension and expansion of the credit through the beginning of 2010 and to also aid any buyer of a primary home ($6,500 credit), should keep new buyers joining the ranks of homeowners and allow others who qualify to move up the ladder with a little incentive and bonus. I was reading a blog the other day that suggested that people need to buy for the right reasons (i.e. "to provide shelter, create a refuge, and make memories"). More people are soberly making new housing choices but this should not take the fun out of the process or the end result. One's home should always be a comforting and enjoyable place to be. One pleasure in making the right decision however (buying a house within your means) should be the peace of mind that comes with sound financial planning. Wishing you the best in 2010 and inviting you to visit any and all of our 28 communities along the Eastern Seaboard.